Vintage design table lamp from Italy. 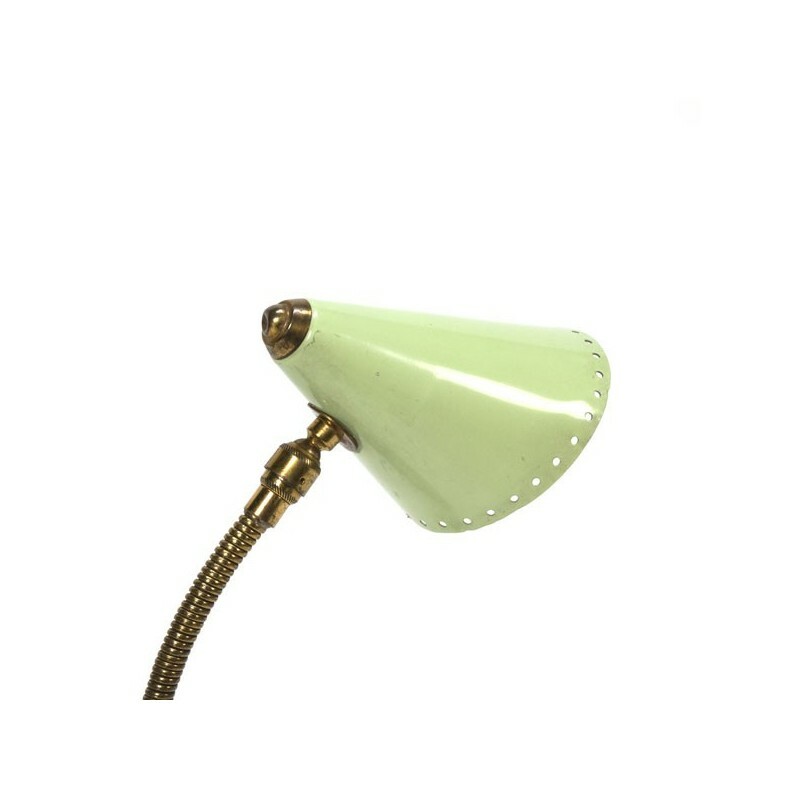 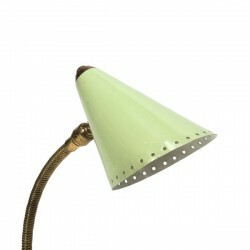 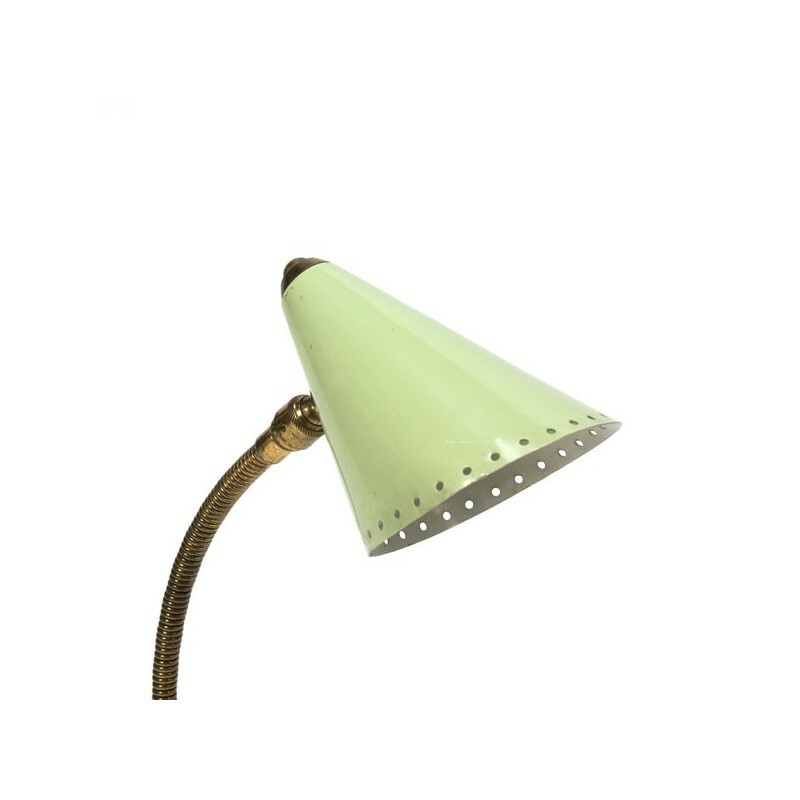 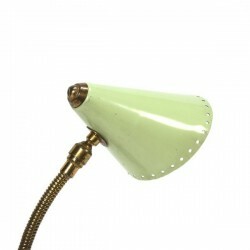 The lamp has a beautiful green cap with a perforated edge. 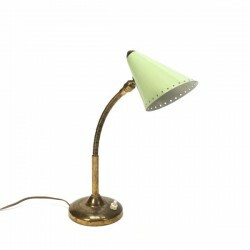 The condition is fairly good, it is just on the edge corners slightly dented, see detailed pictures. 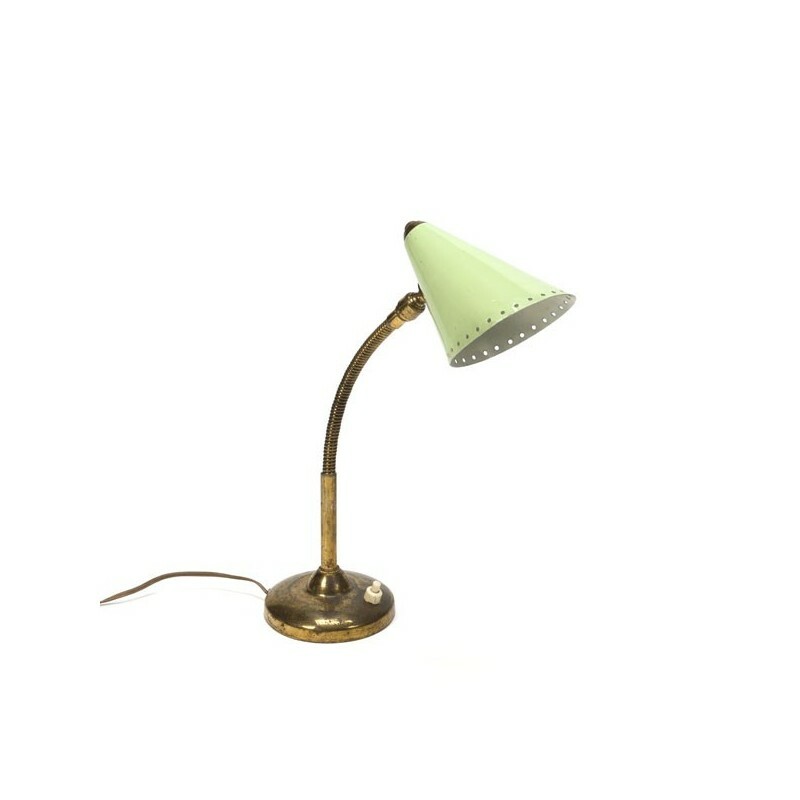 The size is 35 cm high and 10 cm in diameter.